with a little onion and a pat of butter. simmer until liquid is nearly gone. a minute. season to taste with salt and pepper. toss in parsley and plate up. I like to think I've been fairly adventurous with my pasta-making, but cavatelli? I salute you. Do you have a particular method you used for making these, because they are phenomenal! ummmmmmm, looks absolutley divine. that pasta. cavatelli. one of my faves. esp when homemade. 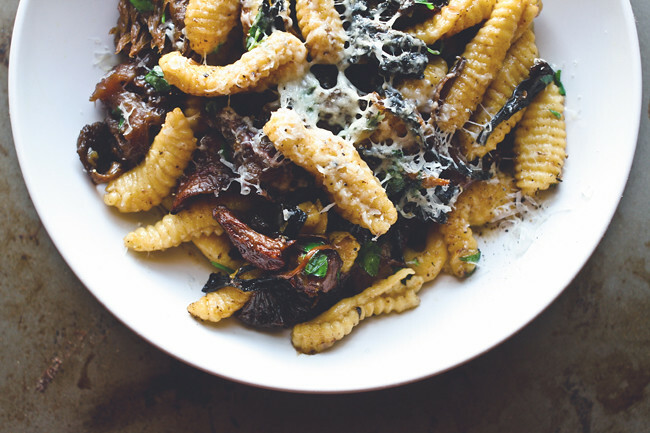 Can we please talk about how to shape cavatelli? Also, can I come over for dinner? Please and Thank you!